One of the most damaging and devastating things you can experience as a homeowner is water damage. 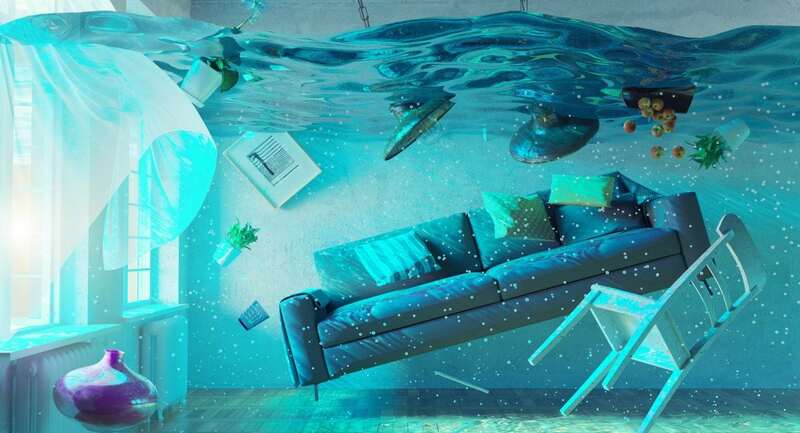 Whether it is due to flooding, burst pipes, sewer backups, roof damage due to severe storms or a leaky toilet when you are out of town – all can cause major water damage in your home. No matter what the cause, it is important to have a plan of action and know what you should do if your house floods. In fact, taking swift action can significantly improve your ability to reduce the costs of repair. Here’s what you should do after you experience water damage that will help reduce the amount of damage after and will make clean-up and repair easier. Once you do return home, it’s always a good idea to turn off all water and electrical sources within the home. Even if you discover that the power isn’t operational, head to your fuse box and turn off the main and all individual fuses. By doing this, once the power is reactivated, you won’t run the risk of mixing things like standing water or damage outlets with electricity! In the event, your suspect severe damage to water, gas, electric, and sewer lines, immediately contact your utility company. No matter if you are experiencing water damage from a flood or leaky toilet, you should contact your insurance company ASAP. In fact, it’s a good idea to have their number in your phone so you are not searching for their contact information during a highly stressful time. Remember, time is of the essence! In cases where flooding is affecting a widespread area, your agent may be handling multiple homeowners (or even their own). If you find yourself having a hard time getting in touch with your agent, contact the insurance company’s headquarters. Once you are in touch with your insurance representative, the first thing you need to do is disclose the state of your home. 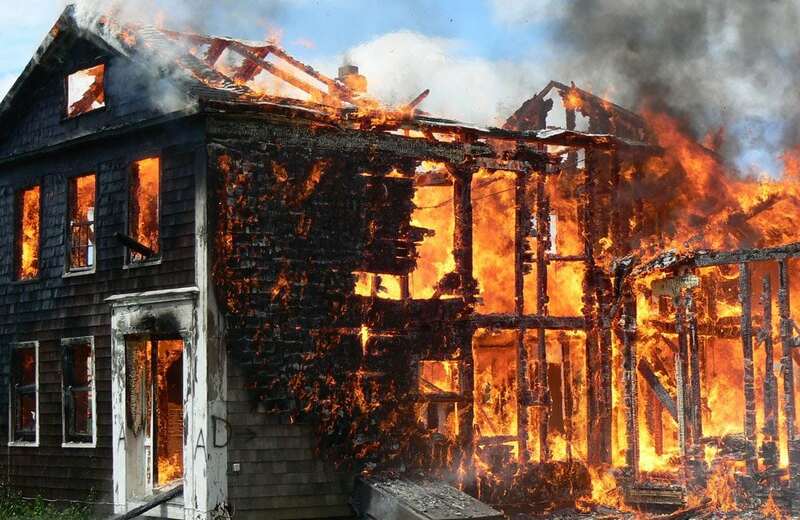 Make sure you take diligent notes regarding the conversation and follow their direction about whether to wait for an adjuster to inspect the property before making repairs. You will most likely find new damage that will require multiple conversations, so be sure to document EVERYTHING! When you are removing water that is being transferred from your wet vac, remember that water IS HEAVY. A formula to commit to memory is one cubic foot equals 10 pounds. When transferring the water, be careful to not injure yourself with a heavy wet vac or buckets of water. Finally, once you remove the water make sure all doors and windows are open to allow fresh air to circulate. Whether you have insurance or not, before you remove ANYTHING THAT HAS BEEN DAMAGED BY WATER, fully document the damage by taking photos or video. Digital photographs are best as they are easily transferred and can be quickly sent to insurance agents or repair professionals. Remember, the last thing you want to do (and it can be tough considering you want to get out soaked furniture to fight mold growth) is start removing water or making repairs before you document the damage. If you have insurance or are hiring a professional service, this could potentially cause issues with your coverage or cause further issues with the repair process. Finally, be sure to throw out any food or drinks that have touched flood water. If you experience severe flooding from rain, follow FEMA’s advice and boil water until authorities declare the water supply is safe. All it takes is 24 to 48 hours for mold to develop in a home that has experienced water damage. That’s why it is so important to remove wet contents, including like bedding and carpeting as soon as you can. Some experts advise that if an item has been wet for less than 48 hours, it may be salvageable. However, it really comes down to if you believe the item hold enough sentimental or monetary value to salvage. Remember that when you are inspecting and considering which items to save or toss that have experienced water damage, photograph everything! Can You Control Mold Growth After Water Damage? It is possible to control mold growth on certain surfaces by using the right cleaning formula. To properly clean your surfaces and prevent the widespread development of mold, use a non-ammonia detergent or pine oil cleaner and disinfect with a 10% bleach solution. Always test this solution on a small area of the item or area you’re cleaning to be sure it doesn’t cause staining or fading. WARNING: Never mix ammonia and bleach products, as the resulting fumes can be highly toxic. Should I hire a mold removal professional? 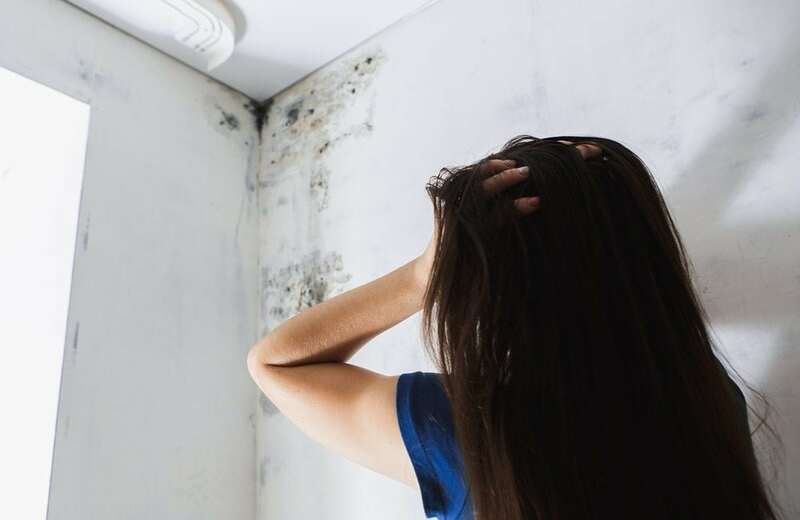 When it comes to mold and your home, you may want peace of mind that comes with hiring a mold remediation professional. In cases where the mold may have already shown signs of growth, hiring a professional is the best way to go. If you need pros to help get your home back to normal, water damage restoration services are where you should start. When looking to hire the right company to help you repair water damage and prevent mold growth, look for those with the Institute of Inspection, Cleaning, and Restoration Certification. If you are advised to leave your water damaged home due to repairs or safety reasons, remember to secure your home. It’s your responsibility to secure your property to prevent any additional damage or people looking to take advantage of your recent series of unfortunate events. Securing activities like putting boards over broken windows or tarping a leaking roof will help you keep the elements outside and reduce the risk of more damage accruing. Once again, remember to document everything you do and report your actions to any insurance or repair company helping you. Water damage at any level can be stressful on you and your family. That’s why professionals at RestorationRESQ are here to help you every step of the way. If you need assistance with getting your home back to the way it was, contact us today!